A trade team to Colombia and Panama visited with 19 different companies and organizations and the FAS representatives in both countries in late November 2018. In addition to meeting with loyal established customers, four of the companies told the trade team it was their first visit with USDBC representatives. Right after the trade mission, USDBC sent members a list of 6 trade leads for companies that had immediate import needs or were new buyers. 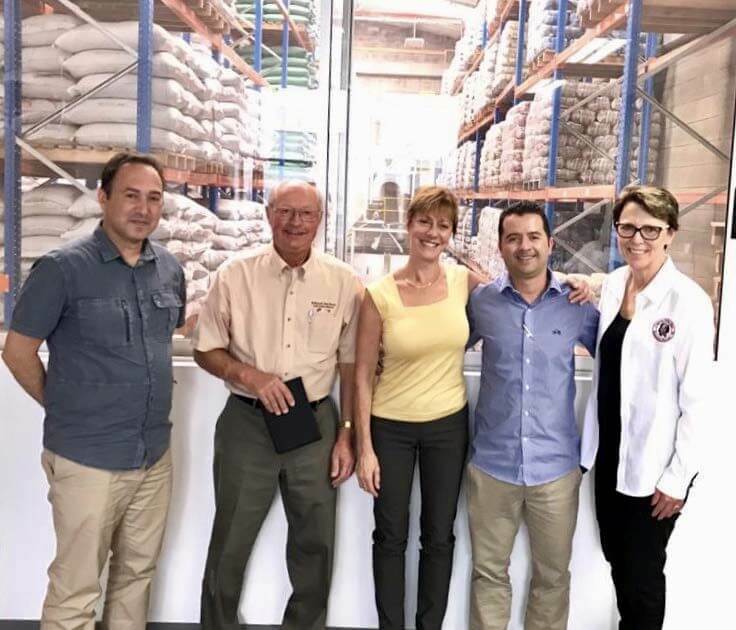 In addition to those trade opportunities, nearly all of the other companies that were visited are buying or marketing U.S. dry beans to some degree and are interested in expanding their relationships. The trade team obtained information that will help the U.S. industry connect with importers, identify the best times during the year to approach buyers and develop new relationships. U.S. exports of dry beans to Panama have increased in the past three years. LRKs are the predominant imported dry bean. They are grown in Panama, but their prices are typically high and production is decreasing. Dry bean import demand is on the rise and there are opportunities for US dry bean market expansion as U.S. food products are recognized for high quality. There is also potential for products made with bean derivatives. In Colombia Importers reported that they had already bought new crop U.S. LRKs, cranberry beans, black beans, pinto beans, navy beans and small red beans. Several were seeking additional shipments of beans for arrival in 2019. There are new opportunities in Colombia due to preferential import duties for U.S. dry beans and recognition of the high quality of our product as well as strong trade relationships that are bearing fruit. USDBC will be looking at new activities in both of these markets in 2019. Granipack warehousein Colombia can handle 1 MT totes and has cleaning, sorting and bagging equipment.